Exposure to dust from deteriorating lead paint is becoming an increasingly pressing public health issue in Detroit, with lead poisoning cases among young children spiking by 28% in 2016. 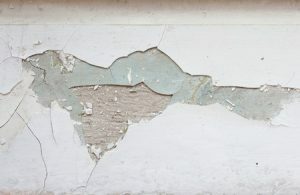 Lead poisoning tends to be particularly prevalent in the city’s low-income neighborhoods, where many older homes haven’t been renovated since lead-based paint was banned in the late 1970’s. But according to a recent investigation conducted by The Detroit News, city inspectors are issuing the vast majority of lead paint violations to landlords in just two well-established neighborhoods, rather than focusing on ZIP codes that report the highest incidence of lead poisoning in kids. The investigation found that in 2016 and 2017, 65 percent of all lead-related tickets were issued in two ZIP codes that comprise the Bagley and East English Village neighborhoods. Meanwhile, only 3 percent of lead-related tickets were issued in the two ZIP codes with the highest rate of lead poisoning in kids. Although Mayor Mike Duggan’s administration has stated that they are focusing their resources on neighborhoods with “strong community support,” many local activists are troubled by the apparent disparity in enforcement. While many homes in two of the city’s most desirable neighborhoods have received lead inspections since 2016, parents in nearby low-income neighborhoods have been left to worry about the potential health effects lead paint exposure could be having on their children. If you’re concerned about the presence of lead paint in your home, you can schedule an inspection with the Buildings, Safety Engineering and Environmental Department by calling (313) 628-2451.